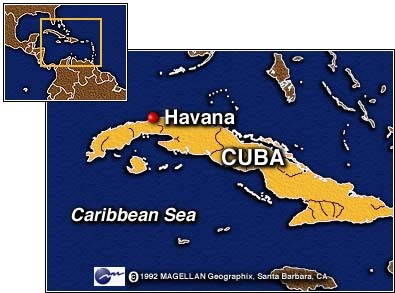 HAVANA (CNN) -- Ever since he became the head of the Roman Catholic Church 18 years ago, Pope John Paul II has been pursuing a relentless crusade for his vision of how mankind should behave. And that vision has, at least in part, contributed significantly to political changes in various parts of the world. The pope's mission has taken him into many of the world's most troubled regions, including Beirut, which he visited last year and where he preached peaceful coexistence between Muslims and Christians. In April this year, the pontiff went to the Bosnian capital Sarajevo, where the messenger of peace and hope tried to help heal the wounds of vicious conflict. But in many ways it is a lifelong battle against Communism that truly shapes this pope's place in history. That battle began in 1979 when, within months of taking office, he visited his native Poland and began to rally a subject nation and helped set in motion sweeping democratic changes. The pontiff stood up for the independent trade union movement Solidarity and helped inspire a revolution of ideas -- not just in Poland but across the Iron Curtain -- that eventually lead to the collapse of the Soviet Union. The most-traveled pope in the history of the Roman Catholic Church has stood firm against almost every military dictator or communist government he has confronted. Cuba, one of the last communist outposts, is an obvious target for the pope, whose church there has been virtually run into the ground during the rule of veteran leader Fidel Castro. Castro and the pope met for the first time in Rome in 1996. While the Vatican has always maintained that church members should be allowed to practice their religion unhindered and unimpeded by political dogma and restrictions, the pope decries economic embargoes -- not just against Cuba, but against any nation -- as immoral. Both revolutionary leader Castro and the head of the Roman Catholic Church have powerful reasons to use and possibly try to outmaneuver one another. To Castro, liberation mainly means shaking off the decades-old U.S. trade embargo. To the island's Catholic leaders and the pope, liberation means greater freedom for the church. For the time being, it remains unclear what repercussions the papal visit to Cuba will have on the Communist nation. For decades, Cubans have only known once voice: that of the Communist Party. The presence of an alternative voice -- even just for the five days of the papal visit -- can be seen as a major change in itself. Correspondent Brent Sadler contributed to this report. © 1998 Cable News Network, Inc.